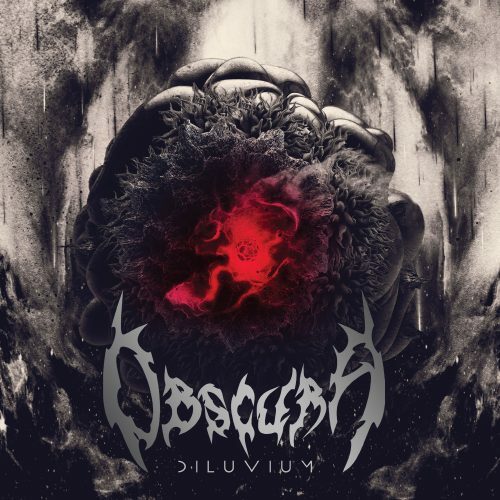 Obscura are one of those bands that have been on the outskirts of the technical death metal scene, and one that I admit I have been ambivalent about. Will this album – the final in a four album series – manage to make them stand above a crowded scene? Opener ‘Clandestine Stars’ gets straight to the point with the thrash intensity that spawned death metal spawned from, throwing in some prominent progressive elements as heard on the previous two albums and allowing the musicians to individually show their talents. This level of intensity continues through ‘Emergent Evolution’ and the album title track. Obscura have a foot in both the progressive and technical camps, particularly ‘Diluvium’ with a great progressive introduction. By now the bass that stood out as a curiosity in the opening track is getting more prominent and beginning to lose the allure it first had, randomly popping up over the guitars unnecessarily. It may be part of the territory for this band, but it would be better suited if it was treated as a curiosity and used to a better effect. The music takes a turn on ‘Mortification of the Vulgar Sun’ as Obscura begins to experiment with acoustic guitars and layers of heavy interspersed to keep things musically interesting, the bass playing a better suited role than the previous tracks. The next few songs whizz by in a blur of samey, yet different, technical death metal until ‘Ekpyrosis’ seizes the interest due to its more linear, traditional song structure and fantastic guitar playing that isn’t trying to be technical or overly impressive, making the entire track easier to digest as a whole rather than finding parts that stick out in the memory. The complete culmination of what the band have attempted to achieve comes to fruition on album closer ‘An Epilogue to Infinity’, a mix of the traditional musical elements that Obscura strive for at times, with their well established penchant for more progressive and technical musical tendencies leading to another of all too few enjoyable listening experiences on this album. Overall this is a heavily layered album that does little to convince this listener that in a flooded genre they are stand out performers yet. But as they turn the tide back towards music with more direction than their previous couple of releases, Obscura could well find themselves closer to the top of the heap.